Rodos Princess Beach Hotel is a luxury beach hotel in Rhodes, ideal for couples and families dreaming of stress-free all-inclusive vacations in Kiotari, Rhodes. Offering direct access to the beach, this Rhodes property is 0.7 mi (1.1 km) from Kiotari Beach and 2.9 mi (4.7 km) from Asklipio Castle. Pefkos Beach and Lardos Beach are also within 9 mi (15 km). 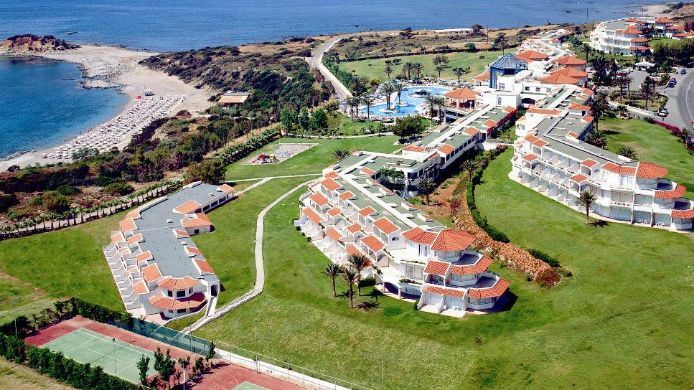 Spend the day playing on Rodos Princess Beach Hotel - All Inclusive's private sand beach then return to dine at one of the property's 2 restaurants. All 356 rooms offer free WiFi, refrigerators, and flat-screen TVs with satellite channels. Other amenities available to guests include minibars, hair dryers, and safes.